What is a Working Memory Deficit and Why Is It Important? 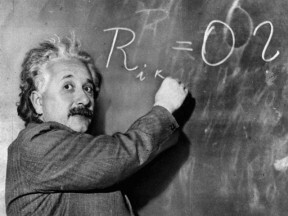 Einstein developed his theory of relativity using so-called thought experiments, now known as working memory. His working memory capacity was the source of his genius. A working memory deficit certainly limits your child’s potential because working memory influences IQ, attention stamina, reading and cognition, making it a major target of learning science. Working memory enables us to keep several pieces of information active while we try to do something with them. It is not short-term memory with information you retrieve and use. It is active information that stays in mind, can be manipulated and used to think. A working memory deficit impacts our performance in academic, professional, and social settings. Working memory is not like computer’s RAM; there is no separate place where the information temporarily resides. Working memory activates information in the brain where it exists. Therefore, this is a different memory type to short and long-term memory, which is in the medial temporal lobe. Dr. Mark D’Esposito, from UC Berkeley, describes working memory as being quite purposeful. We hold all these pieces of information together in order to solve a problem or carry out a task. Some describe working memory as a worktable. It is a place where you gather and can see the information you need to work with. It is a cognitive skill that varies greatly between individuals. Working memory is an always changing cognitive skill. Therefore, it is subject to the principle of neuroplasticity, meaning it can improve with exercise, in capacity and duration. Dr. D’Esposito has shown the positive effect of goal-based self management training on working memory capacity. Other works, including LEC’s research on how BrainWare Safari builds working memory, various Fast ForWord program studies and work by the Karolinska Institute in Sweden, have also demonstrated the potential to increase working memory.